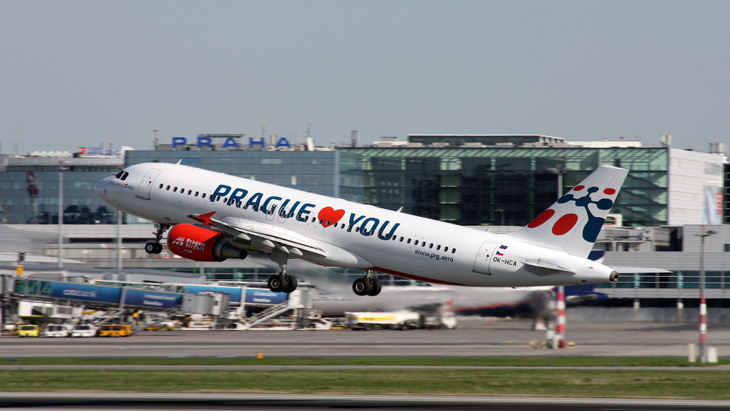 The Václav Havel Airport Prague is located in the northwest outskirts of Prague, about 20 kilometres from the city center. Since there is no metro at Prague Airport, the transportation into/from the city is provided by buses of the city public transport. If you have luggage and/or prefer a more comfortable journey, we advise taking a taxi (take 1.1.1. Airport Taxi). To travel by public transport, there are several options. Route 1: Take the bus № 119 from any terminal at Prague Airport to Dejvická metro station, line A (24 minutes), then take the metro to your destination in the city. Route 2: Take the bus № 100 from any terminal at Prague Airport to Zličín metro station, line B (18 minutes), then take the metro to your destination in the city. Before taking either consider the fact that Dejvická metro station is much closer to the center.